Watch BUCKCHERRY “Head Like A Hole” video plus New Album News! 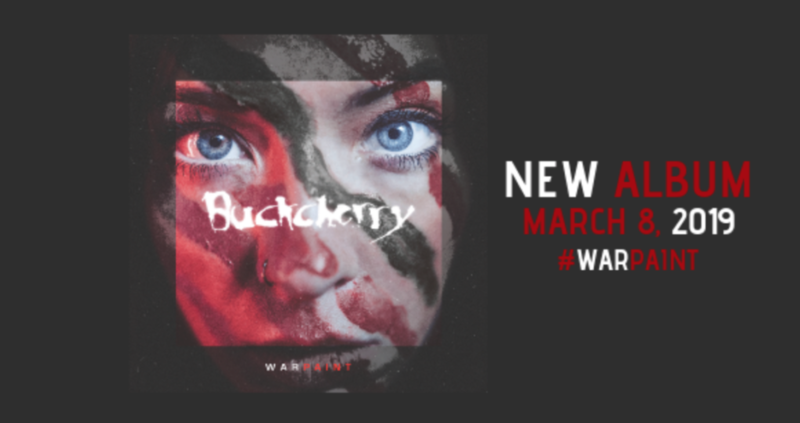 If you’re a fan of Buckcherry, March 8, 2019 can’t come soon enough. That’s when they’re releasing their new studio album “Warpaint”. There’s 12 songs, including a cover of Nine Inch Nails’ “Head Like A Hole” (watch the video below)! You’ll be able to pre-order “Warpaint” thru the band’s website as of January 11, 2019. And yes, you can bet they’ll be touring in 2019 to support the new album! Todd told Billboard about the Nine Inch Nails cover, “(it) happened really organically. We were in the studio making the record, just kind of going through some old songs while they were setting up,” he said. “We jammed it out the first time and it was like, boom, automatically sounded right as if we’d written it, which is what we always want to achieve when we do a cover. Pretty decent cover by Buckcherry. What’s the best cover song all-time?